These presentation slides 40191 are complete compatible with Google Slides. Simple download PPTX and open the template in Google Slides. 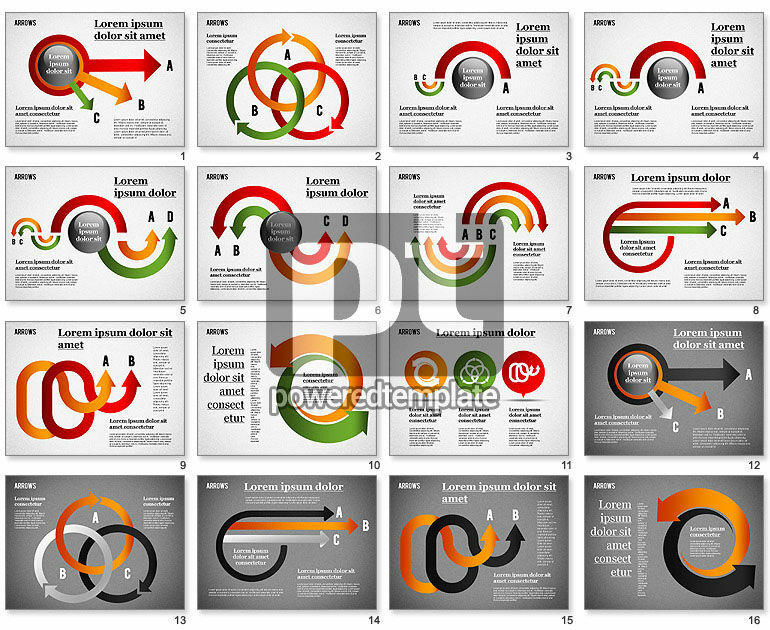 Meet this marvelous Arrows and Curves modern template dedicated to business aspects of various kinds, such as steps and stages, processes, development, management, planning and so forth. There are many colorful arrows curved in different ways and text areas so using of this great multifunctional and stylish sample at your presentations will be highly appreciated by your audience.